I learned this valuable lesson of depending on God to provide creatively in the Kidology Coaching Program I completed in 2014. In the fifth unit of the program there was an investing project. It was an exercise in creativity in which we were given $10 and had to do something with it to make a profit. My coach’s point was to teach us to never let finances limit what we do. So this fall, when a few of us at our church got the idea that a green screen would be a helpful tool to have for the ministry, we didn’t let the lack of money stop us. The general fund of our church is always tight, and we are presently paying off a small loan as well. So getting any money from the church funds is out of the question. I simply mentioned to my husband/pastor that we could sell calendars to help fund the project someday. He took it to the board that night and they said, “OK, you can do that.” I really was not intending to do it this year! I ordered 50 calendars, knowing we could sell most of them. If we sold all of them, we would make $175.00. My team estimated we needed about $230 to get a green screen and lights. Then we discovered we needed another $120 worth of software to actually edit the movies. I am glad I did not know all of this ahead of time. We were not able to sell all of the calendars, but God provided. Someone took them to work to sell, and their boss wanted to donate $100. He didn’t even want a calendar; he just wanted to donate the money. 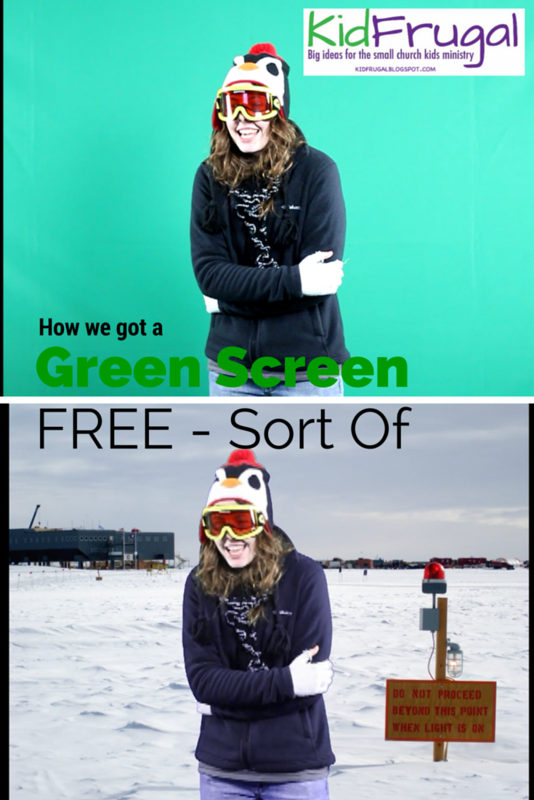 That put us over the top for the green screen and lighting – now we needed the software. Another team member, Roy, wanted to help, so he purchased it with his own money. The very next day his neighbor stopped over to his house. He wanted to give him $100 because he had plowed his driveway for him last year. Roy had no idea that was going to happen. And that is how God provided for our green screen when there was no money for it. I neglected to say that we usually sell the calendars to raise money to pay the shipping fees for the Operation Christmas Child boxes that our Sunday School kids do every year. When people say you can't out-give God, they aren't kidding. Someone put $100 in the offering for OCC even though that need was never announced or made known. The bottom line is, God can provide in creative ways. Don’t ever let lack of money stop you from doing something you sense God is leading you to do.